The UK’s role as a leading partner on the global F-35 programme has received another huge boost today. The F-35 avionic and aircraft component repair hub in North Wales was awarded a second major assignment of work worth some £500M by the US Department of Defense. Following the announcement in 2016 that the UK would be the location of the global repair hub for the initial tranche of F-35 components, today’s news sees significantly more UK support work to the cutting-edge jets. This new assignment will support hundreds of additional F-35 jobs in the UK - many of them at the MOD’s Defence & Electronics Components Agency (DECA) at MOD Sealand, where the majority of the work will be carried out. It will see crucial maintenance, repair, overhaul and upgrade services for an even wider range of F-35 avionic, electronic and electrical systems for hundreds of F-35 aircraft based globally. The winning solution builds on the innovative joint venture formed between the MOD (DECA), BAE Systems and Northrop Grumman called Sealand Support Services Ltd (SSSL). SSSL support work and services for F-35 are scheduled to commence from 2020. This announcement keeps Britain right at the centre of the global F-35 partnership, the largest defence programme in history. It is a vote of confidence in our highly-skilled workforce and high-tech industry that provides us and our allies with the very best of what British engineering has to offer. Our vision of Global Britain brings with it new and exciting opportunities to provide top quality goods made in Britain to the rest of the world. This deal builds on the strong foundations of the UK’s enduring defence partnership with the US. It is a significant boost for British jobs and those highly-skilled workers who enable these world-class fighter jets to continue keeping us safe and secure. RAF F-35B Lightnings at RAF Marham. This assignment recognizes the world-class skills and critical support being provided at DECA - a MOD-owned Executive Agency. It places North Wales at the very heart of F-35 support delivery for the next 40 years and directly supports hundreds more high-tech F-35 jobs in the UK. With this announcement, MoD Sealand is once again proving its credentials as a vital component repair hub for the F-35 aircraft. The UK’s defence outlook is bolstered by the skills of thousands of people employed across the industry in Wales, including those supporting essential equipment to the Armed Forces. I’m delighted that the skills of our labour force have been recognised with this reinforced investment in the north-east Wales economy, which will continue to provide a prosperous source of employment and growth to this region through the wider supply chain over the coming years. In winning this work, the UK has demonstrated how the MOD can collaborate effectively with industry bringing together a highly skilled and experienced workforce to offer an innovative and best value support solution for the benefit of F-35 partners. The UK also benefits from a long-term commitment to the F-35 programme and its unique defence relationship with the US. 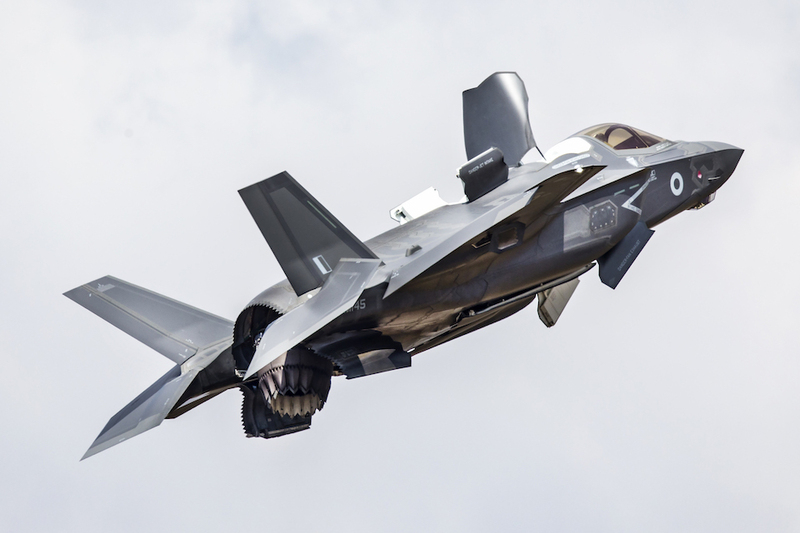 Together with our partners from DECA, BAE Systems and Northrop Grumman, SSSL will be able to offer the F-35 programme engineering excellence, world-class innovation and agility. An RAF F-35B Lightning performing a hover manoeuvre. DECA has a long and illustrious history in providing avionic services to fast-jet aircraft. This further F-35 assignment reaffirms DECA’s role in providing services and support to the world’s most advanced fighter aircraft for decades to come. It is particularly pleasing that we will provide such a critical and substantial element of the Global F-35 component sustainment solution. This is testament to the hard work and dedication of our workforce and will secure these world class skills in support of defence and security for many years to come. The news follows a November 2018 announcement that the UK has ordered 17 more F-35B aircraft, which will be delivered between 2020 and 2022, to join the 17 British aircraft currently based at RAF Marham and in the US, as well as another already on order. 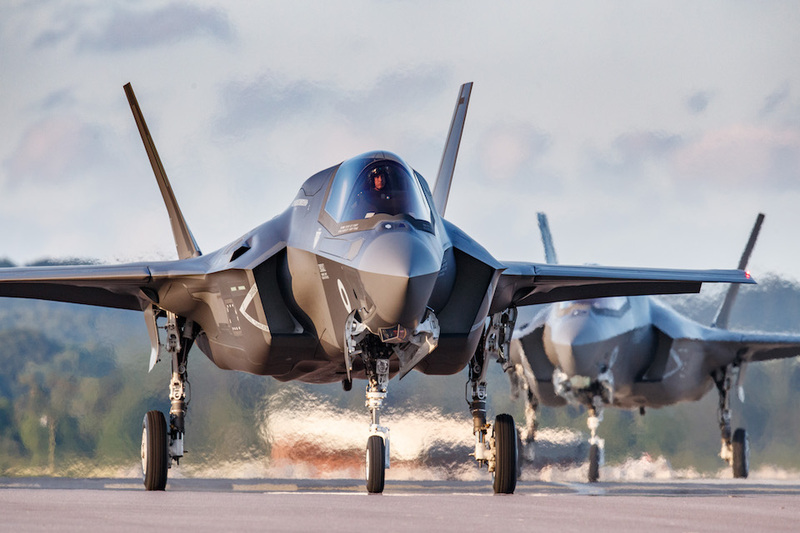 Also, in November 2018, the MOD awarded a £160M contract to Kier VolkerFitzpatrick to deliver infrastructure to ready RAF Lakenheath for 2 squadrons of US Air Force F-35s. The Suffolk airbase will be the first permanent international site for US Air Force F-35s in Europe and continues the base’s long and proud history of supporting US Air Force capability in the UK. Home Office's National Transfer Scheme to be rolled out to Wales, Scotland and Northern Ireland. The visit comes as the European Union granted a flexible extension of Article 50 last week. International Trade Secretary Dr Liam Fox MP and Secretary of State for Wales Alun Cairns MP on Wales' growing export potential (15 March 2019). The intended actions of the UK and Welsh Governments in response to an independent review of the Swansea Bay City Deal. The UK will boost its defensive capabilities by hosting a major international military exercise for two weeks from 30 March 2019. New homes and jobs will be created thanks to 11 new investment opportunities being promoted by the government. Defence Secretary Gavin Williamson has reaffirmed his commitment to growing Defence’s contribution to UK economic growth. Welsh innovator Dr. Jessica Bruce among female innovators receiving £50,000 UK Government funding on International Women’s Day. Alun Cairns outlines ambitions for the new forum at launch reception in the British Embassy in Paris.